It’s May and temperatures are rising, plants are sprouting, and the sun is still shining as I drive home from work. I feel more peppy than usual. This feeling and month connect me to that wonderful song from Camelot entitled “The Lusty Month of May.” Here Queen Guinevere proclaims to her loyal subjects: May is the time for Spring Fever! Research shows that there could be more to Spring Fever than just a change in your attitude. 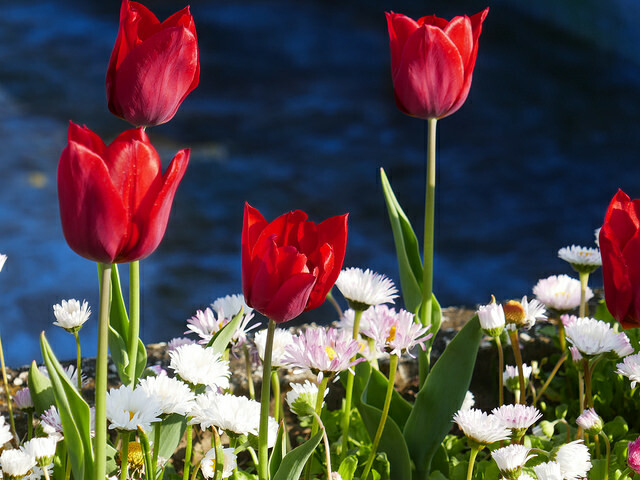 According to recent studies, people experience a genuine energy burst during spring. There are scientific reasons behind why everyone seems super-energized. And Spring Fever affects more than people. Plants are energized in the spring, and even more as they ripen. With this ripening comes energized flavor. What we think of as deliciousness. The Japanese word for deliciousness is umami. The word was created by Japanese professor and chemist Kikunae Ikeda. Ikeda wanted to find the source of a flavor staple in Japanese cooking – broth made from kelp (kombu). After close examination, Ikeda succeeded in extracting crystals of glutamic acid, an amino acid, that were responsible for the distinctive taste. He named this flavor umami, from the Japanese word for delicious, umai. Further taste research has confirmed that molecular compounds in glutamic acid – also called glutamate – bind to specific tongue receptors. This reaction is what makes the flavor deliciousness. In some foods, the amount of glutamate they contain – and their flavor – increases as they age or ripen. This graphic illustrates this concept using a ripening tomato. As a tomato ripens from green to red, its glutamate content increases dramatically. The superior flavor of the ripe tomato can be attributed, in part, to its higher glutamate level. So animals and plants – let’s celebrate “The Lusty Month of May” with deliciousness. Whether it be a ripened tomato, melted Parmesan cheese over pasta, sautéed mushrooms with beef, or a sprinkle of MSG while cooking, spring is in the air and all living things are energized, including our food! Previous PostWhy Do We Need Flavor Enhancers in Food?